Free Shipping on Biofit Medical and Lab Chairs. BioFit embarks on a new line of seating products to combat unwanted surprises in clinical and laboratory settings. BioFit’s Smart Environ Design process is seamless to reduce the risk of bacterial and fluid infiltration of upholstery. 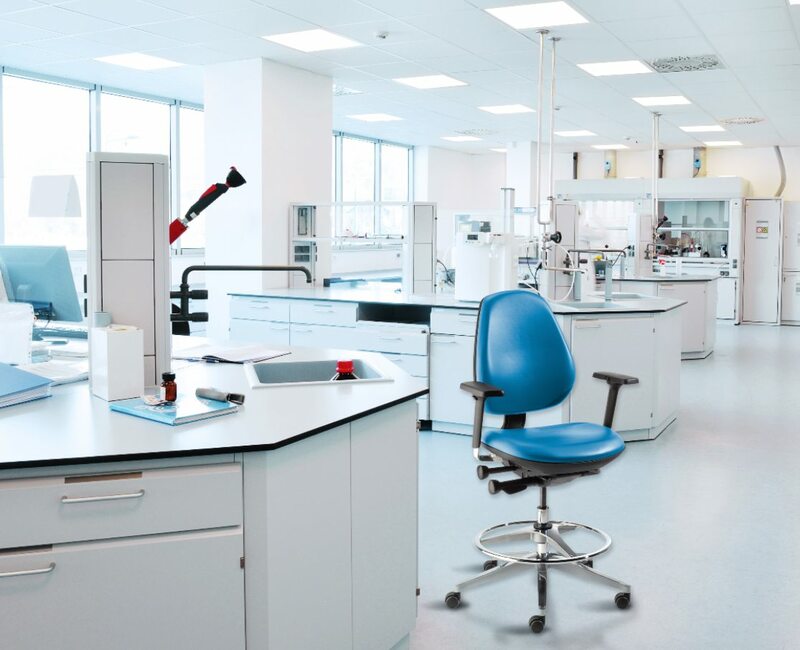 Following in the footsteps of Biofit’s Sewn Seams chairs in comfort and ergonomics, these chairs and stools are a perfect fit for any healthcare, clinical or laboratory environment where increased comfort and reduced risks are needed. With the incorporation of our Smart Environ Design process, our new Vacuum-Formed seating is made without seams to allow us to minimize compression of the contoured, highly resilient seat foam during the manufacturing process. This not only creates fuller design lines and enhanced form, but subsequently adds a noticeable increase in the level of user comfort. The chair is an integral part of workplace ergonomics. Choose a chair for what it can do to make your employee’s job healthier and more comfortable. BioFit ergonomic Vacuum-Formed seating can help you do just that. It is the perfect fit in both healthcare and laboratory settings. smaller organizations or those just starting out. down on the job is not an option. to reduce liquid and bacterial infiltration. o reduce liquid and bacterial infiltration. Biofit Vacuum Formed Ergonomic Lab Stool.